George Sutherland was born in England in 1862. His family immigrated to Utah the following year. 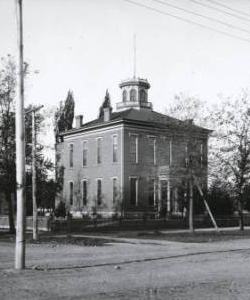 In 1881, he graduated from Brigham Young Academy, and after studying for a year at University of Michigan School of Law, he passed the Utah bar exam. At first, he practiced in Provo with his father and then partnered with Samuel R. Thurman in 1886 to form Thurman & Sutherland. 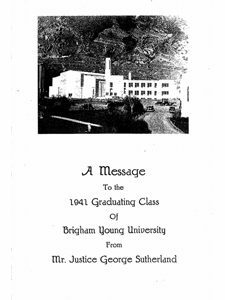 Justice George Sutherland’s legacy is a lifetime of service to the citizens of the state of Utah, the U.S. Congress, and the U.S. Senate. His humility and integrity in public service is unsurpassed. 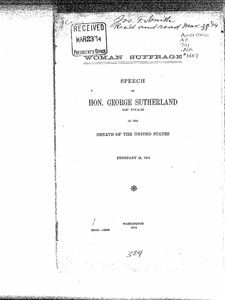 George Sutherland immigrated from England to Utah in 1863, when he was just a year old. The Sutherlands lived in Springville, Tintic, Provo, and Salt Lake City, Utah. 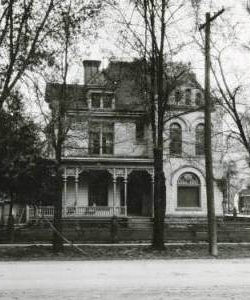 Sutherland graduated from Brigham Young Academy in 1881 and attended the University of Michigan Law School. Helped form the Utah Bar Association in 1895. In 1896, he was elected to Utah State Senate, where he chaired the Judiciary Committee, which drafted the first Utah Judicial and Penal Codes. 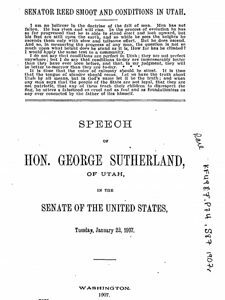 Sutherland proposed Utah’s first State Worker’s Compensation Statute and laws granting eminent domain to miners and irrigators. In 1900, he was elected to Utah’s only seat in the United States Congress. 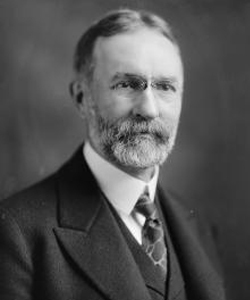 In the United States Congress, he was instrumental in passing the Reclamation Act. Sutherland was elected by the State Legislature as the United States Senator in 1905 where he served two terms. 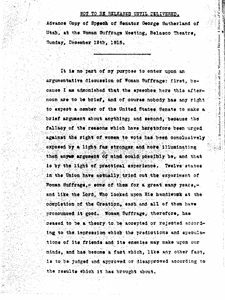 Through his legal ability, affability, and hard work Sutherland accomplished much regarding women’s suffrage, workers’ compensation, reclamation, Indian affairs, and foreign policy. He was the driving force behind the Federal Employer Liability Act, which created a worker’s compensation system. 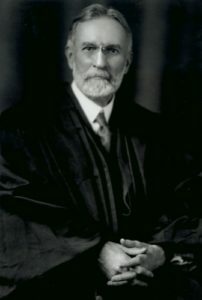 Sutherland’s Judiciary Committee rewrote the United States criminal and judicial codes, “a monumental task’ according to Chief Justice Charles Evans Hughes of the United States Supreme Court. 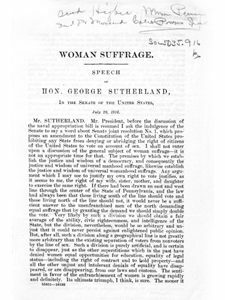 In 1915, Sutherland sponsored the Nineteenth Amendment giving women the right to vote and exerted every effort to assure its passage to the United States Constitution. 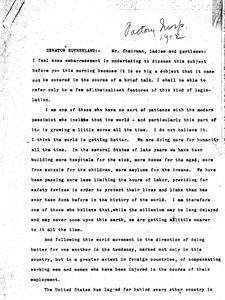 In 1917, Sutherland was elected President of the American Bar Association. 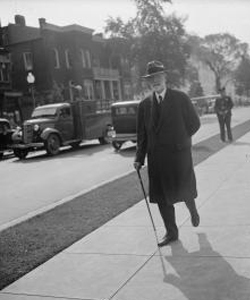 On September 5, 1922, President Harding nominated Sutherland for an open seat on the United States Supreme Court, and the Senate unanimously confirmed him the same day. He was the leading conservative Justice on the Court between 1922 and 1938. 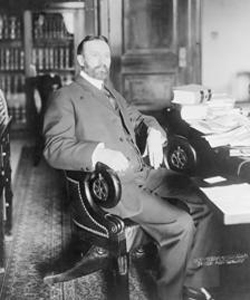 He was best known for his opinions concerning criminal procedure, land use and zoning, the power of the executive branch, and various constitutional issues. 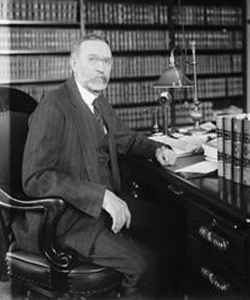 Justice Sutherland retired in 1938 and died in 1942. On October 15, 2011, over two hundred Utah lawyers, judges and community leaders gathered at Little America Hotel to celebrate the legacy of Justice George Sutherland. Snow Christensen & Martineau, which traces its roots to Justice Sutherland and his law partner Sam Thurman, sponsored the event as a way to commemorate the firm’s 125th birthday. The evening culminated in the presentation of a bust of Justice Sutherland commissioned by Snow Christensen & Martineau to Judge Dee Benson, U.S. District Court for the District of Utah. Upon completion of the federal courthouse expansion, the bust will be displayed at the courthouse to memorialize the achievements and legacy of Utah’s highest jurist.